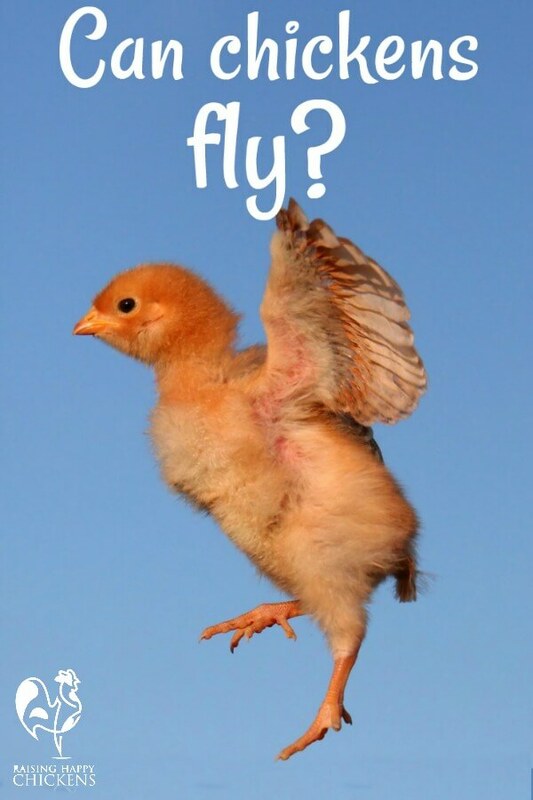 Question: "Can chickens fly?" Answer: "Can a duck swim?". Find out why. Ever wondered how it is that you put your flock in their run in the morning and by the time you've finished breakfast they're all over your back yard? You're standing there asking yourself "how in the world did that happen?" Well, there's a simple explanation. Chickens can fly! Why chickens fly in the wild. Our domesticated birds are descended from the wild jungle fowl of Asia. In the wild, it's completely natural for them to fly. They use their wings to escape predators and to roost in trees at night. Staying on the ground would be far too dangerous. If you've ever had light-bodied hens who have not got into the roost in time at night, you'll often find them sitting quite happily in a tree nearby. It's the remains of that inherited instinct to roost up high. No. Naturally speaking domestic chickens aren't good flyers - their body weight is too heavy for their wings to carry them any distance. They tend to do a kind of hop and flap motion. Left to themselves, they'll generally stay on the ground where they can forage for food. But they'll fly if they have to - to escape predators, to roost, to get out of their run onto open land and occasionally, in my experience, just to prove who's boss. Trust me - it's not easy getting a chicken down from a 60 foot high roof. Have you ever seen a look on a rooster's face that says "I'm the boss, lady"?! Well, now you have! Are fences chicken-proof when it comes to flying? Nope. 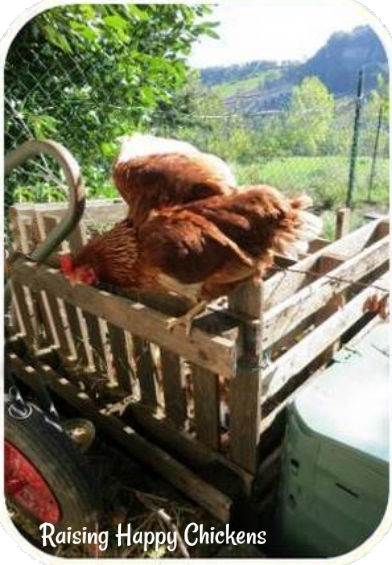 Very high fences are more difficult for heavier breeds, but lighter breeds and bantams will fly over fences with no problem. In fact, some of my own girls flew over our six foot high fence even after they'd had one wing clipped. Everything I'd read said they shouldn't be able to fly with one wing clipped. I didn't know how they were doing it until I sat and watched them. They hopped onto a branch which took them about halfway up the fence - and then they flapped their wings long enough to get over to the other side. They were lopsided and they weren't terribly elegant in the way they landed. But they did it. A low fence is no barriers for a determined rooster! Which brings us to the question of how high chickens can fly. My Red Stars are very sociable. They love to come to the kitchen door for their breakfast every morning. And they will do anything to get there. So I have personal experience of them flying between ten and fourteen feet off the ground when they really want to get somewhere. Not all are that energetic, though, and the heavier breeds won't be able to get anything like that high. My Light and Speckled Sussexes, Marans and Wyandottes don't bother trying to fly at all - but my bantams love to roost as high as possible. My Polish just watch with disdain. They think that flying is something less cultured birds do. But for those breeds that like to fly, four feet is easy for them. Six is getting more difficult but still very possible, even for the medium sized birds. At what age can chickens fly? From when they're just a couple of days old chicks develop wing feathers and as little chicks, their body weight is light enough to start experiment with using them. This little Wyandotte was flying around the room like an expert at just over one week old! 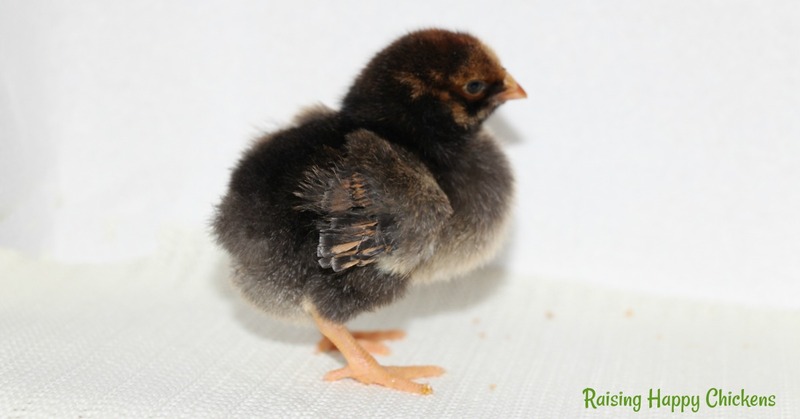 This is one of my Wyandotte chicks at just 4 days old. See how well her wings are already growing? Depending on the breed the flight feathers - the long feathers on the leading edge of the wing - start growing at day three or four after hatching and are fully developed by the age of between five and ten weeks. Technically most can, but not all choose to. Some prefer it more than others and some are just too heavy ever to get their bodies off the ground. 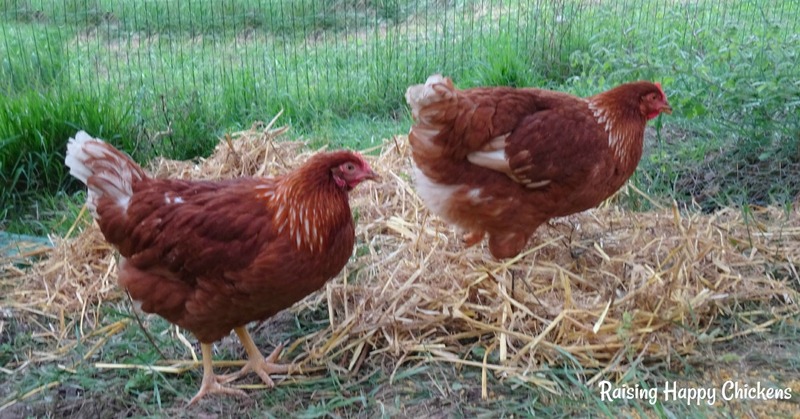 Bantams are the best flyers - their small body makes it easier for them to take off! My Sablepoots are always roosting in trees rather than join others in the hen house at night. Lighter bodied breeds like Araucanas are good flyers, and some just seem to enjoy flying - my own hybrid Red Stars just love to fly. 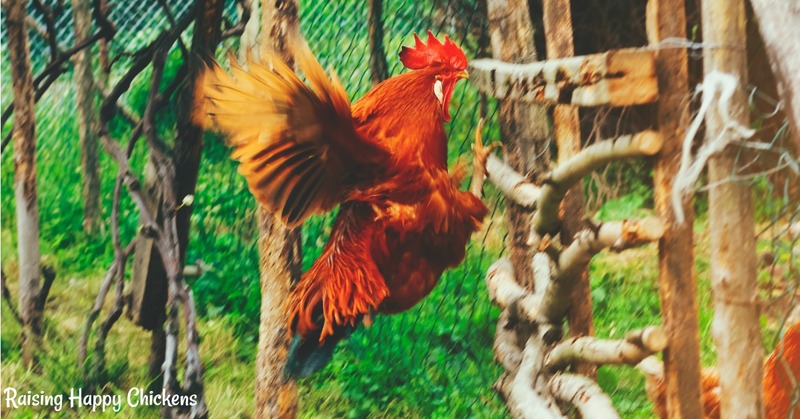 Heavier birds such as Orpingtons, Barred Rock, Leghorn and Australorp can't usually get the energy together and 'fancy' breeds like Polish and Silkies definitely don't want to get their feathers ruffled in flight! 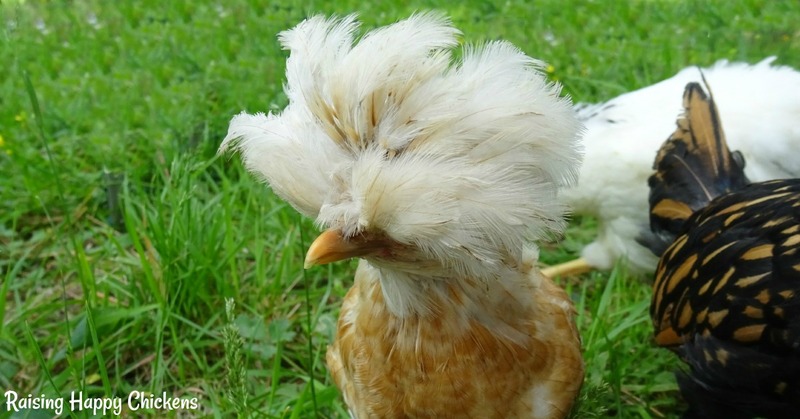 My Polish chickens never wanted to fly even when they were very young. Can chickens fly? What the answer means for you. If you live in a town and have a few hens in your back yard, your neighbours might not be terribly pleased that their lovely green lawn is being raked over by your marauding flock. Hens are ruthless when it comes to grass - they can clear a patch in minutes! And neighbours definitely won't be pleased that your girls have chomped down on their veggie patch, or used their lovely summer flower pots as dust-baths. 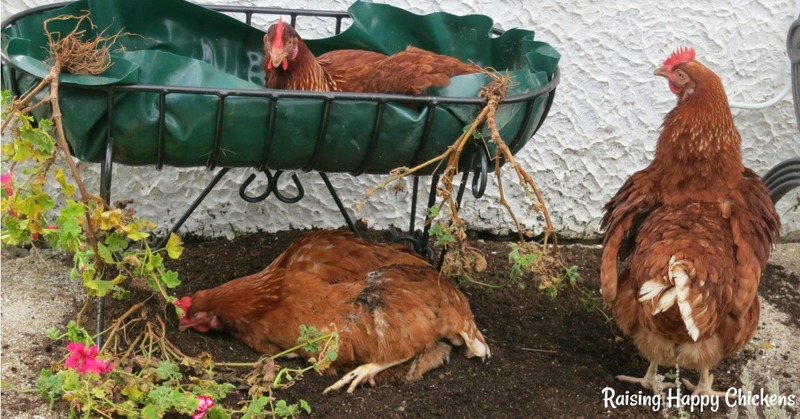 My chickens love my summer flower displays - to turn them into a chicken spa! More importantly for your flock, though, is that flying can actually put them in danger. Here's a story to explain why. I had a problem. Our Red Stars love to free range - we have a lot of land - but our neighbour's dogs were constantly roaming onto our property and our flock was not safe. I thought I could manage it by supervising them - and then, one day, the dogs got little Lulu. Two of my Red Stars. Lulu is the chicken on the right. She lost her tail feathers in a dog attack when she flew out of the run. We were lucky - I got to her in time and although she was badly bitten (and as you can see she lost a lot of tail feathers), she survived. So I began to keep the flock in their run. But the girls weren't happy. You know what they say - the grass is always greener on the other side of the fence. They liked their run, but they liked to free range more. So they flew. Red Stars are well known for it. They flew over a six foot high fence. They flew in the morning and they flew in the afternoon. I clipped one wing and they learned to fly with the other. I clipped both, and they hopped. Chickens can hop a long way, it seems. I put them back in their run and they flew out again. I tried to catch them and they flew into trees. I got them down and they perched on the roof. Which proved to me beyond all doubt that not only can they fly - many chickens will do so at any given opportunity. It's in their nature. And that's all fine except for ... well, you get the picture. This is a pic of Claudia, who managed to get over the six foot fence with one wing clipped and landed safely on the compost heap. What are the possible solutions for chickens who fly? 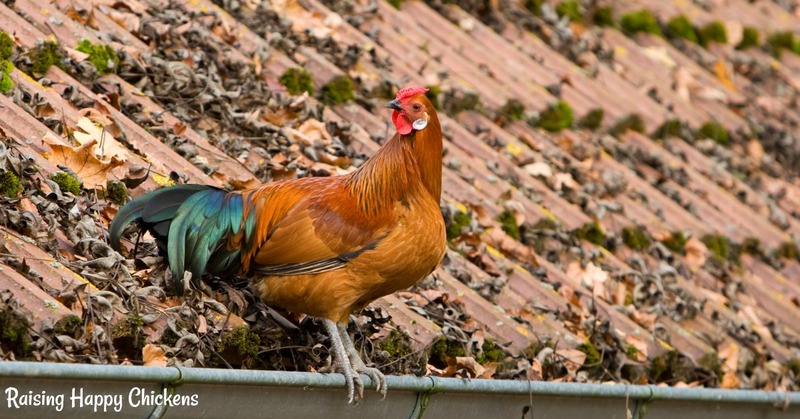 Flying hens can be fun to watch - but they can cause problems, too. Unhappy neighbours, plants and vegetable gardens destroyed, and worst of all, putting themselves at risk of attack from the waiting mouths of predators. There are different options available. One is to put a cover - netting, for example - over the top of your run. That's entirely possible, depending on its size. Another option is to clip their wings. Personally, I don't like taking any part of the body away from a living creature, but I decided - given that a six foot fence didn't stop them and my run is much too big to cover with netting - it was the only option to prevent my girls from flying into danger. It's not the answer for everyone, but it worked for me. 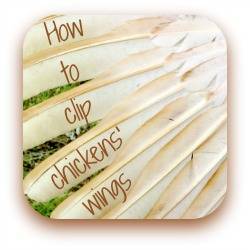 Clicking on the pic below will take you to a page showing you exactly how easy it is to clip chickens' wings - and it doesn't hurt them a bit. And if you're interested to know more about the Famous Flying Red Stars, here's a link to that page too. Enjoy! How to clip chickens' wings to stop them flying. 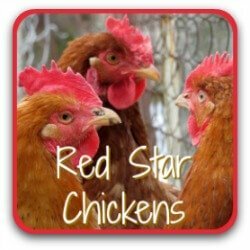 Red Star chickens: are they right for your flock? 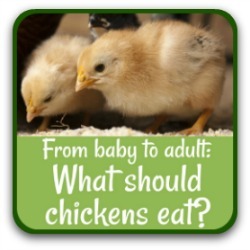 What should chickens eat from hatch to adult? 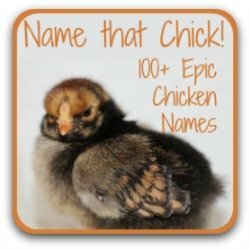 100+ names for you to choose for your flock! If you've found this page helpful, I'd really appreciate it if you could let me know by clicking this little Facebook button. Thank you! Have you had problems with flying chickens?